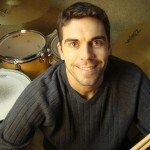 Private drum lessons in Sheboygan. The music store for friendly service for drum equipment and music lessons. They offer lessons for piano, guitar, voice, strings, woodwind, brass, percussion, and folk instruments. A good selection of drum books, drumsticks, and drum heads. Fast order turnaround for non-stock items. A guitar and drum teacher in Sheboygan. Formerly Monument Music. A Sheboygan music store offering private keyboard, guitar, and drum lessons when available. Find a teacher for music lessons in your area. Find an instructor in Sheboygan or elsewhere in Wisconsin.